READY TO BECOME AN R2L VOLUNTEER? Our volunteers come from a wide variety of experiences and backgrounds, which exposes our students to a diverse community. Volunteers do not only help children improve their reading skills, but also increase their confidence and develop a love of learning and reading. 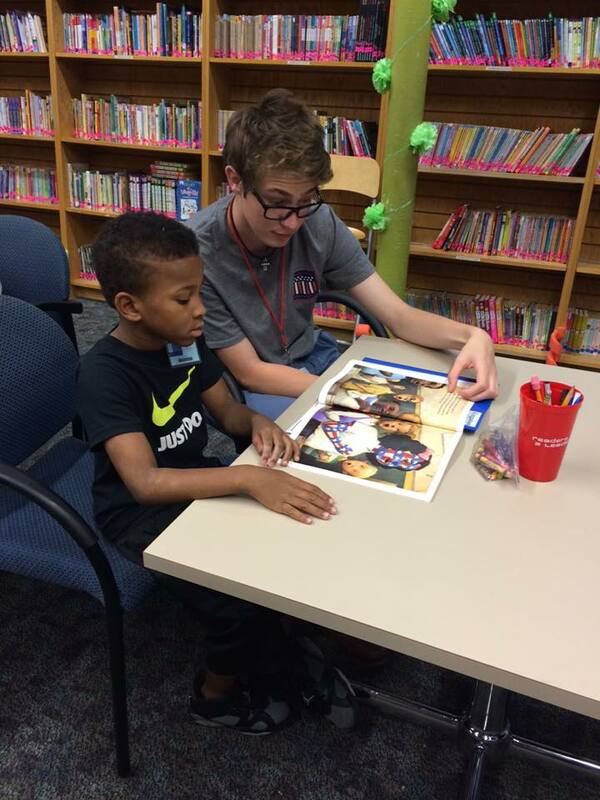 You can become a tutor, mentor, and role model to a child in need by volunteering with Readers 2 Leaders. Reading Buddies volunteer for as little as 30 minutes per week. 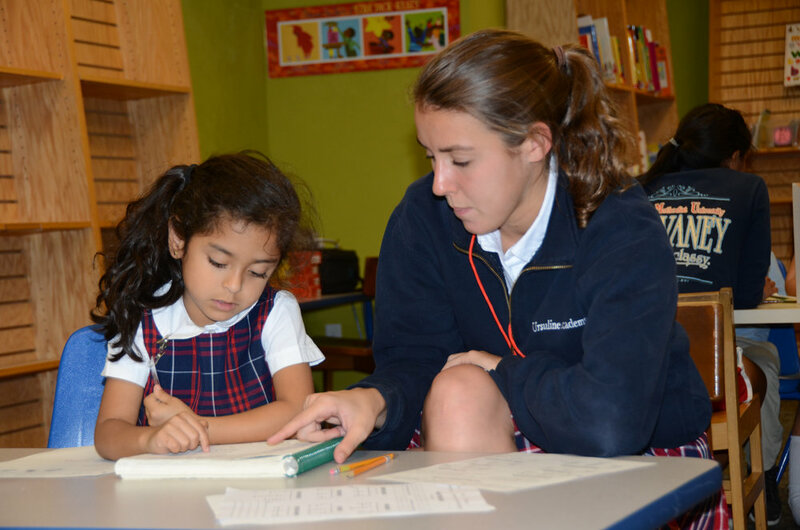 You do not need prior teaching or tutoring experience to become a volunteer. Readers 2 Leaders provides all necessary training, as well as on-site support from an R2L staff member. We offer flexible scheduling to help you fit volunteering into your busy schedule. Sign up today to be a Reading Buddy! We are grateful for the partnership of several groups from corporations, faith communities, and organizations. We would love for your group of 5-15 volunteers to come work with our students in Team Read After-School! We can also collaborate with your group to create additional opportunities. Please email Audrey White to find out more about group volunteering at audrey@readers2leaders.org. We periodically have opportunities to volunteer with R2L on weekends and evenings, such as processing in-kind donations or making improvements at Booktown. Please email volunteer@readers2leaders.org to be added to our volunteer email list.